The Val Vista/Valley Trails neighborhood in Pleasanton is located on Pleasanton’s west side and only minutes from I-680 and I-580. 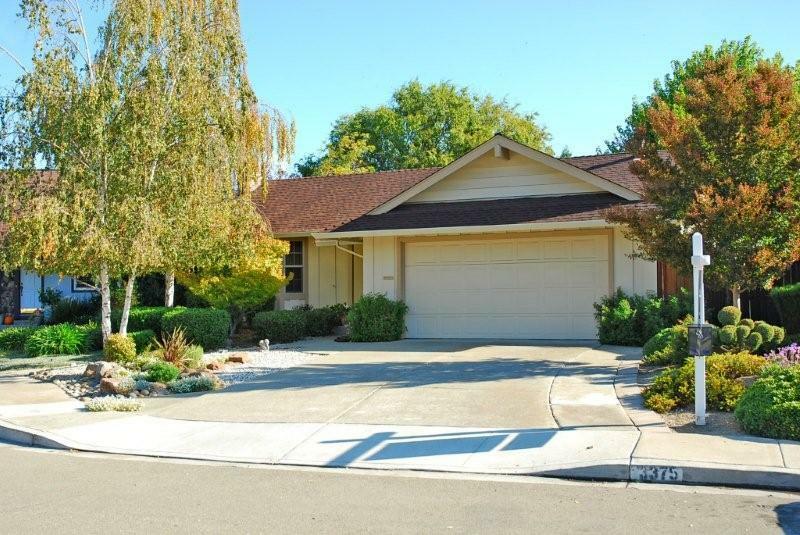 Val Vista was built in the late 1960’s through mid 1970’s by Singer homes range in size from 1,370 sq ft to 1,950 sq ft. Val Vista neighborhood is now home to one of Pleasanton newest community parks. A 24 acre park complete with basketball courts, skate park, hockey rink, picnic area and large open grass areas. Within the Val Vista neighborhood is Donlon Elementary school. The Valley Trails neighborhood also offers a great location plus a large open greenbelt which is accessible by many of the courts within the neighborhood. 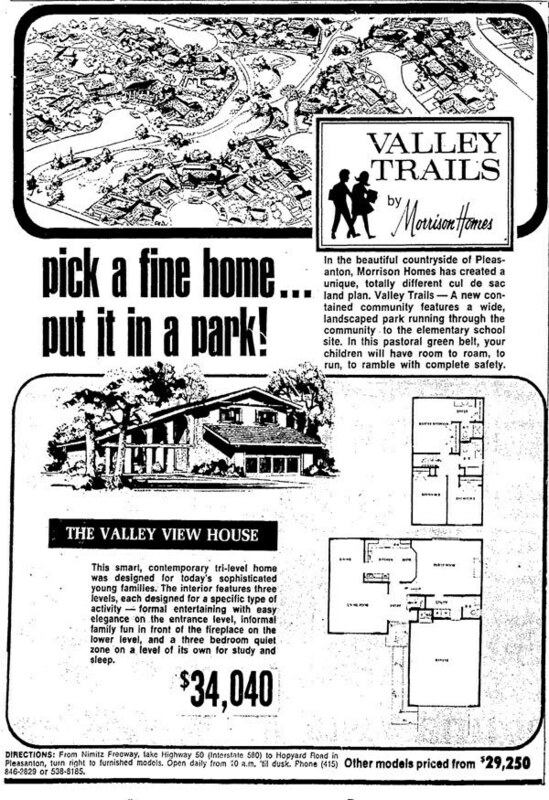 Built in the late 1960’s and early 1970’s by Morrison homes and range from 1,300 sq ft to 1,900 sq ft. An early ad from Morrison homes describes Valley Trails as, “…totally different cul de sac land plan. Valley Trails- A new contained community features a wide, landscaped park running through the community to the elementary school site…” The school however never was developed. See early Valley Trails ad.